We have all been there—sitting on the couch all day, unmotivated, wanting to change but no knowing how. Those are the boring parts of our story, the plotless moments that lead to depression and despair. We humans cannot remain in that state for long without serious consequences. But how do you know when your story is getting better? 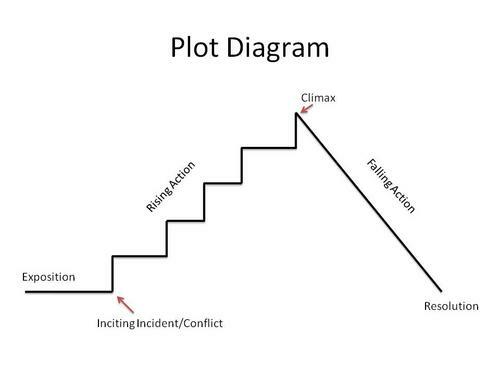 How do you recognize “plot twists” that deserve a greater investment of your time? I have always wanted to be a morning person. I am attracted to the image of the early-riser reading by the window, warmed by the morning sun and a fresh cup of coffee. There is one problem: I love sleep. Getting out of bed in the morning is as difficult as a butterfly breaking from its cocoon, with the exception that I still looked like a caterpillar afterwards. Add to that, I work with college students who live on a six hour delay from the rest of the world. The snooze button is an easy escape. Then, three years ago, I decided to write a book. Actually, it felt like the book chose me. I was tossed into a new adventure—How do I write a book?—and the plot was dragging me along. At first, this “plot twist” did not require much of me. I rearranged my schedule and wrote for a couple hours each morning. Then it started demanding more. I needed more time. I needed to be more focused. The book required it. Each week I was setting my alarm earlier and earlier. At one point, I was waking up every morning at 6:15 and was showered, fed, and writing by 7:00. I couldn’t believe it. In the quiet of the morning the words came, the manuscript grow, and the story moved forward. I said “Yes” to something I had failed at many times before. The plot drove that change. In 2006, my wife and I decided to move to Bosnia and Hercegovina to work with university students in the capital town of Sarajevo. In the time following that decision, I was offered two other jobs. Both of the positions were appealing. In fact, I had day dreamed about one of them. However, I easily said “No” to both. There is a blatantly false idea floating around that says, “If you are heading the right direction with your life, it will be easy (or at least easier).” Hogwash! Tommyrot! Poppycock! If you are heading the right direction it will, in many ways, be HARDER. It would have been far easier NOT to write a book and NOT to move to a foreign country where I didn’t know the language. Immensely easier. However, because I felt “pulled along” by the story, I was filled with an alien courage to face these obstacles. The challenge drew out from me hidden energy and character. Trembling, I walked into the unknown. The story (the plot) was so good, that I would rather die than quit. Have you ever felt this way? When you find yourself saying “Yes” where you couldn’t before, saying “No” to what you otherwise couldn’t refuse, and facing obstacles with courage, take note. You might have found a plot. Keep going. A beautiful story awaits you.